This pattern includes a wallhanging and a table runner. It can be done scrappy, or with a featured floral. 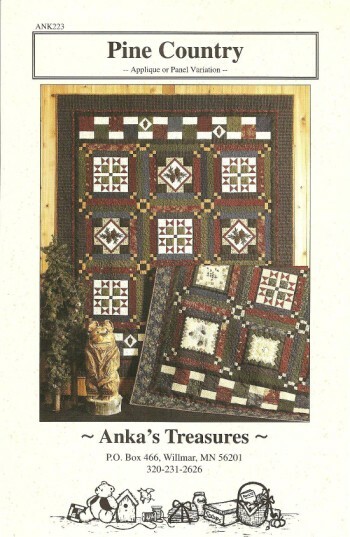 This pattern comes with instructions for a 52" x 52" wallhanging, and 18" x 18" pillows. 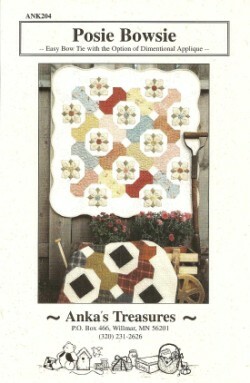 Pattern includes directions for either an applique or panel version. 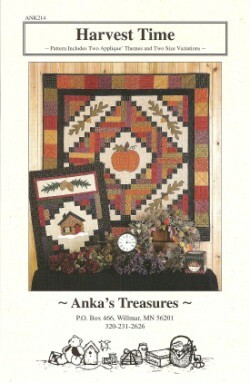 Pattern includes two applique themes and two size options. Sizes: 48" x 48" and 22" x 28 1/2". This pattern features easy piecing and fusible machine applique--or you can leave the applique off as shown in the flannel quilt shown. 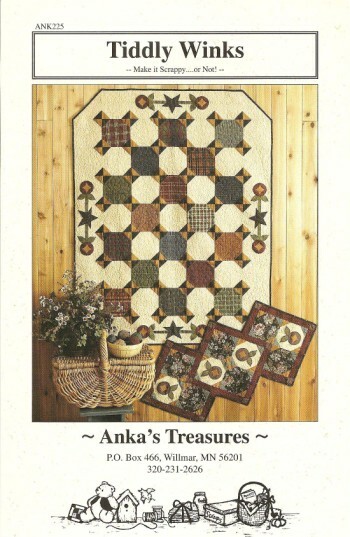 Size: 64 1/2" x 90". 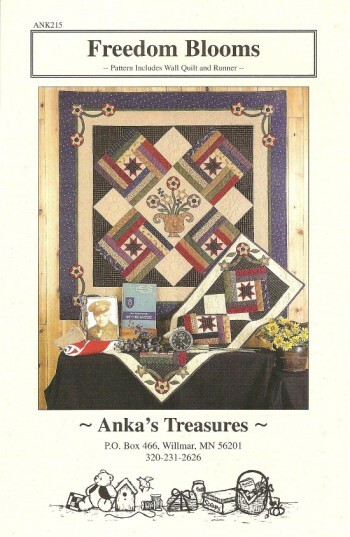 Pattern includes a throw, wall quilt, and table runner. Pattern includes a wall quilt and a table runner. 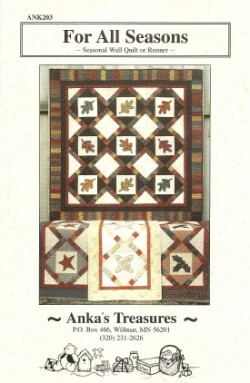 The wall quilt will be 53 5/8" x 53 5/8", and the table runner will be 49 1/2" x 19 7/8". Pattern can be made as a fat quarter wall quilt or a scrappy runner. 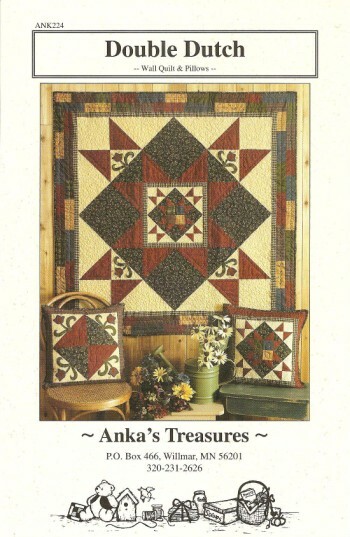 Size: 43 1/2" x 51" or 19" x 39". 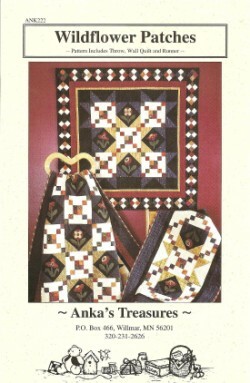 This pattern is based on a simple bow tie block with the addition of a few folded corners. You may choose to add dimensional applique petals to the opposite corners of the bow tie block-- it results in a flower when you put the whole thing together! Size: 41" x 41". Pick your favorite seasonal applique to make this easy wall quilt or table runner! 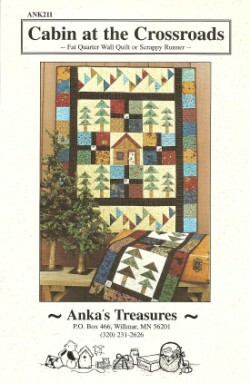 Size: 51 1/2" x 51 1/2" or 20 3/4" x 46 1/4".